BUDAPEST — The time is just after the defeat of Nazi Germany. Two Orthodox Jews disembark from a train at a rural station in Soviet-occupied Hungary and, after offloading a heavy bag, they begin a silent, hour-long walk to a nearby village. Such is the premise of the award-winning Hungarian movie “1945.” The black-and-white feature, filmed last year, is one of just a handful of movies ever produced in Hungary about the theft of Jewish property during the Holocaust. In the US, the film will premiere Nov. 1 in New York, with a national rollout to follow. Despite being a low-cost production lacking marquee names, “1945” has found major success at international film festivals. While the film is fictional, it has struck a nerve among Hungarian Jews whose families lived through the suspicion and hostility depicted in the movie. 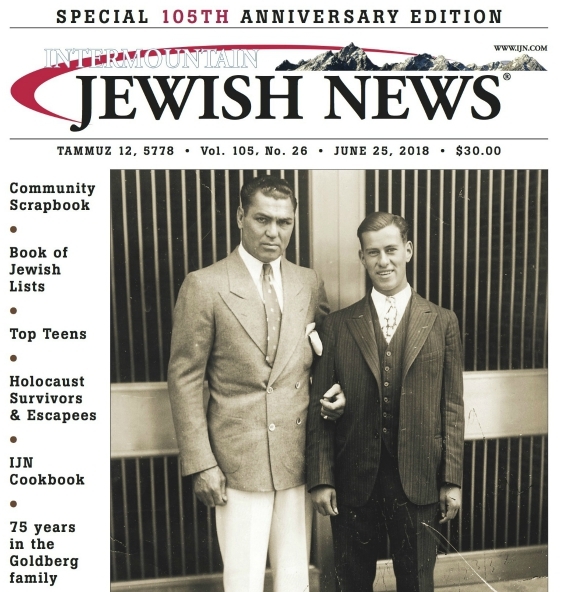 In the film, the two silent Jews — Sámuel Hermann and his son — arrive on a fateful summer day: the wedding day of a son of the village’s de facto mayor. Fearful that the Jewish arrivals are an expeditionary force for Jews who used to own property there, the town’s leader frantically mounts cover-ups of his own crimes. A group of villagers armed with pitchforks menacingly gather around the newcomers as they pray for their dead in the village’s disused Jewish cemetery. “The pogroms happened here and there,” he said. “But the fear of having to give back the property, the shame of what was done to Jews — even if only by not defending them — that was common, that was the rule, and this is the first film that I’m aware of capturing this. “This element of the Holocaust — the neighbors, the shop owners who took everything the Jews had and didn’t want to give it back — that has remained a taboo, which this film helps break,” he added. After the fall of communism, the Hungarian government instituted several laws that were supposed to facilitate restitution claims for property privately owned by Jews. But the procedure put in place “made it difficult for many potential claimants” to receive compensation, according to the World Jewish Restitution Organization, citing the laws’ narrow definition of an heir along with foot dragging by justice authorities. In parallel, over the past 15 years, Hungary’s political scene took a rightward shift. Prominent politicians from Prime Minister Viktor Orban’s ruling Fidesz party have in recent years been promoting or tolerating the glorification by others of the legacy of Nazi collaborators and ardent anti-Semites, triggering an open row with the Jewish community and liberals. Among those honored with statues in Budapest alone since 2013 are Miklos Horthy, the country’s pro-Nazi wartime leader, and Gyorgy Donath and Balint Homan, two Holocaust-era politicians who prompted anti-Semitic laws. Amid the hasty cover-up efforts depicted in the film — including the silencing of remorseful accomplices — “1945” also tackles how neighbors who used to be friendly turned on their Jewish compatriots while under the rule of Nazis and their allies. In many instances, this was done not out of ideological hatred, but in order to survive their new circumstances or make the most out of them. “Mostly it gives us an idea for the first time of how they felt, the Jews and the non-Jews, in those chaotic days after WW II,” Frolich said.